Downtown Franklin’s favorite holiday party happens Thursday, December 3, from 4 p.m. to 8 p.m., and organizers promise fun and festivities for the whole family with visits from Santa, Mrs. Claus, Post Mark the North Pole Postman, refreshments, entertainment, crafts and gift shopping. Carolers and hot chocolate will set a holiday mood at the annual tree lighting ceremony on Dean College’s Dean Hall Common at 4 p.m. From there event goers will stroll through downtown Franklin to sample treats, enjoy entertainment and score shopping specials offered by more than 30 local businesses. 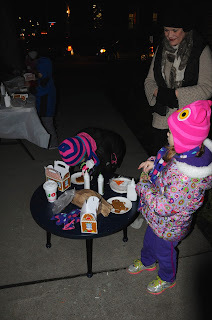 “Over the years the Holiday Stroll has become a favorite tradition. Downtown Franklin is decorated with bright lights and colorful window displays. 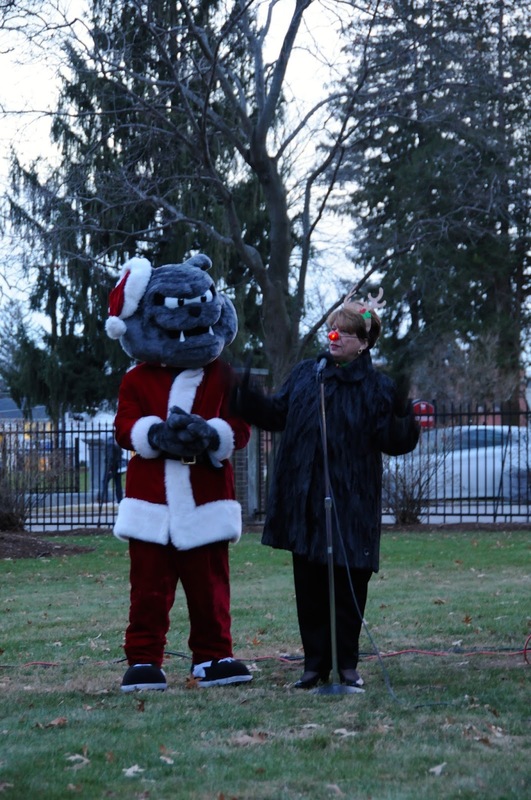 Families can see the tree lighting at Dean, see great entertainers, visit Santa, go out to dinner, do some local holiday shopping, and support our Franklin businesses,” says Roberta Trahan, event co-chair. 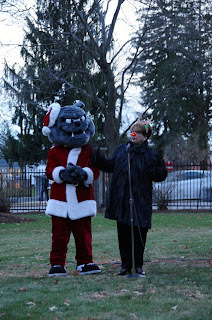 Special guests will make appearances at this year’s Holiday Stroll. 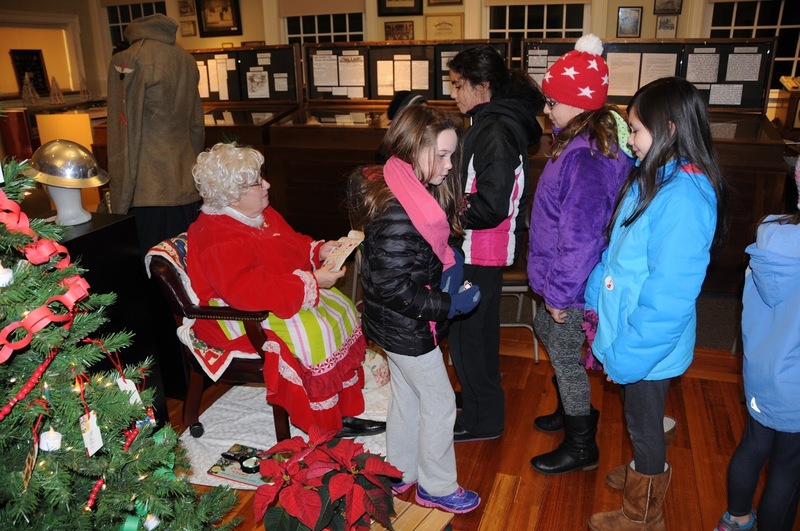 Santa Claus and his elves will hear wish lists at Simon’s Furniture, and Mrs. Claus will read favorite holiday storybooks at the Franklin Historical Museum. Post Mark the North Pole Postman will set up a workshop inside Emma’s Quilt Cupboard where kids can write letters to Santa, and he will read from his own Christmas book. Like any good party, the Holiday Stroll will have great entertainment. Snow White and the Seven Elves will appear at THE BLACK BOX. Kevin Wolfe will perform inside the Depot Plaza building, and Jane’s Frames will feature Jamie Barrett on guitar. 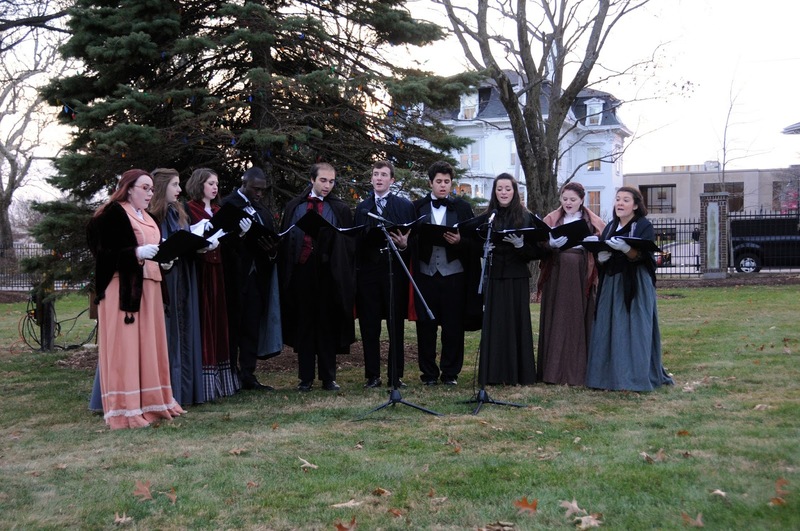 WMRC 1490-AM will broadcast holiday music live that evening. Franklin High School student musicians will showcase their talents at The Cake Bar, and local dance schools will perform holiday-themed dances in the Simon’s Furniture parking lot. 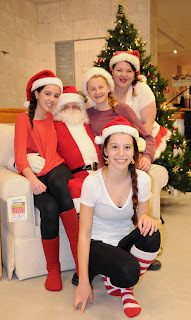 Check the FDP website and Holiday Stroll event page on Facebook for show times. Activities and treats are planned for locations up and down Main, East Central and West Central streets. A Holiday Stroll Happenings list will be available at the tree lighting and participating locations. Kids can decorate gingerbread man cookies under the lights at Dean Bank, and create holiday-themed crafts with the Franklin Girl Scouts. The Bernon Family Branch YMCA will set up their popular Children’s Area in the Rockland Trust parking lot. Revelers can stop into Emma’s Quilt Cupboard on Main Street to do some gift shopping and meet new business owners. The Sugar Shoppe will tempt shoppers with sweet treats inside Emma’s, and Fiori will showcase locally made gifts and floral arrangements in its new location next door. Participating sponsors and merchants will transform the Depot Plaza building’s atrium into a bustling shopping area, featuring sales and promotions, gift shopping and holiday music. The fun continues up West Central Street with performances at THE BLACK BOX. The Fire Station will open its doors for a “Touch-A-Truck” event and fire fighters will teach families about holiday fire safety. Visitors to the Historical Museum will find Mrs. Claus, crafts, hot chocolate and candy canes. The Franklin Food Pantry will benefit from this year’s event. Shaw’s will sell wreaths on Main Street with proceeds going to the pantry. The Holiday Stroll takes place during the Franklin Food Elves’ ’12 Days of Donating’ campaign, and the elves will place red collection bins at the tree lighting and at participating businesses around town. Food and goods collected during the ’12 Days’ drive help the Food Pantry meet the needs of 600 client families in Franklin during the winter. 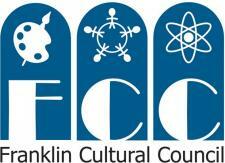 “The Holiday Stroll celebrates the season, our community and downtown Franklin. It’s a fun night when you can stroll leisurely through the town center with your neighbors, discover new businesses, and enjoy all the talent and resources this town has to offer,” says Gregg Chalk, event co-chair. Many generous sponsors help make the Holiday Stroll possible. This year’s Gold Sponsors are DCU, Dean Bank and Dean College. Silver Sponsors are D.G. Ranieri Real Estate, Franklin Ford, Franklin Local Town Pages and Keefe Insurance. Bronze Sponsors are Beaux Regards Photographic Art by Marjorie Sardella, Franklin Health & Rehabilitation Center, Jane’s Frames, NEWPRO and Next Step Living. For more information about the Holiday Stroll, contact co-chairs Gregg Chalk, gchalk@dean.edu, or Roberta Trahan, Roberta_icu1@verizon.net. Information is also available on the FDP website and the FDP Holiday Stroll event page on Facebook. The Franklin Downtown Partnership is a non-profit 501©3 organization made up of business owners, community leaders and residents working to revitalize downtown Franklin. The Partnership runs events such as the Strawberry Stroll, October Stroll and the Holiday Stroll, and is involved in streetscape and design efforts, greenspace and sculpture projects. Go to the www.franklindowntownpartnership.org to learn more.